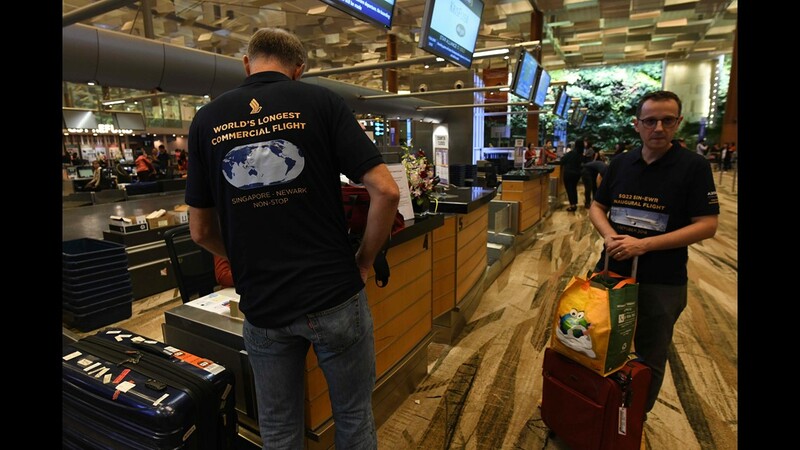 Ingmar De Kegel of Belgium waits at the check-in counter of Singapore Airlines flight SQ22 to Newark on Thursday, Oct. 11, 2018, in Singapore. 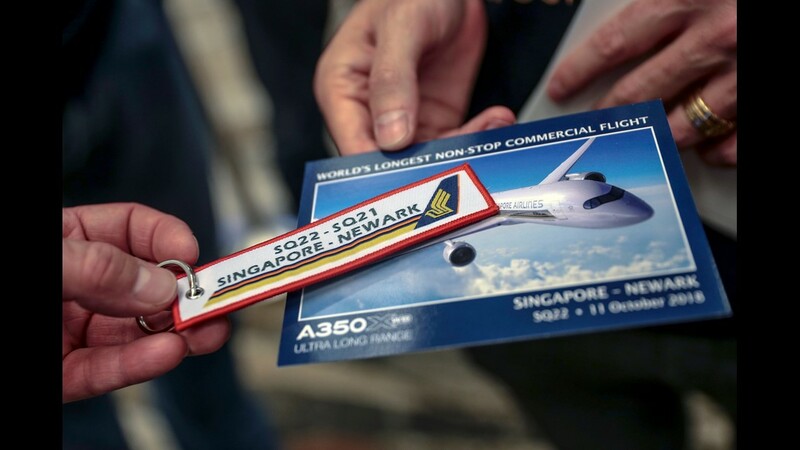 A commemorative keychain and postcard for Singapore Airlines flight SQ22 are seen in Singapore, Oct. 11, 2018. 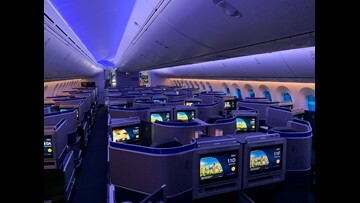 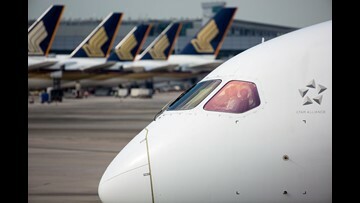 Singapore Airlines (SIA) is restarting its SQ22 flight, a non-stop flight from Singapore Changi Airport to Newark Liberty International Airport. 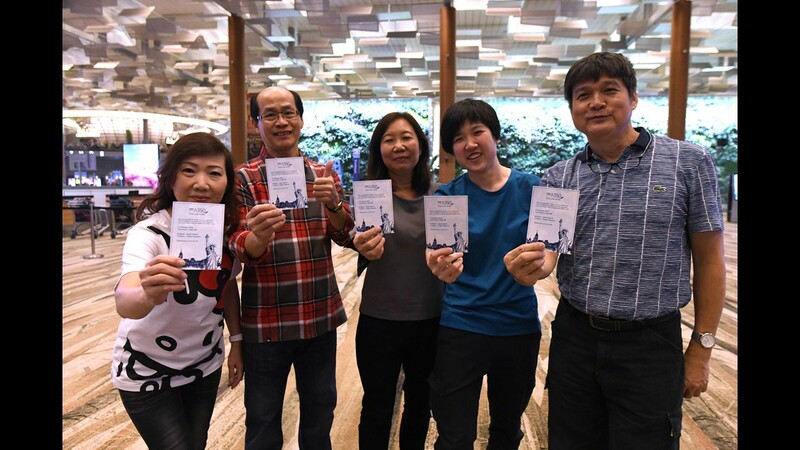 Singaporean William Chua (right) with family members, all passengers of flight SQ22, Singapore Airlines' inaugural non-stop flight to Newark pose with souvenir cards after their checking in at Changi International Airport in Singapore on Oct. 11, 2018. 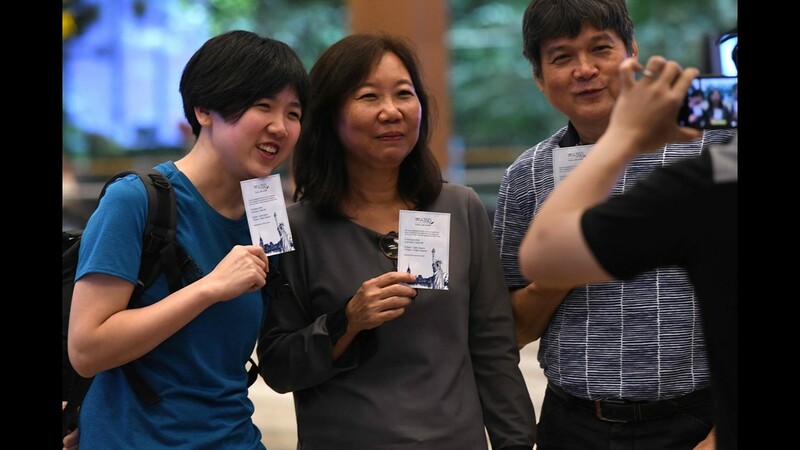 Passengers of Singapore Airlines Flight 22 from Singapore to Newark pose for a picture at Singapore's Changi Airport on Oct. 11, 2018. 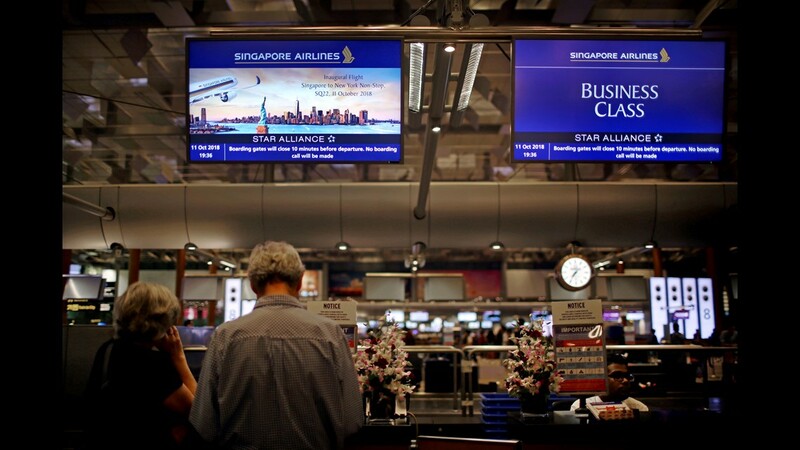 Passengers traveling on Singapore Airlines flights wait at check-in counters where advertisements for the airline's inaugural non-stop flight from Singapore to Newark is flashed on screens on Thursday, Oct. 11, 2018, in Singapore. 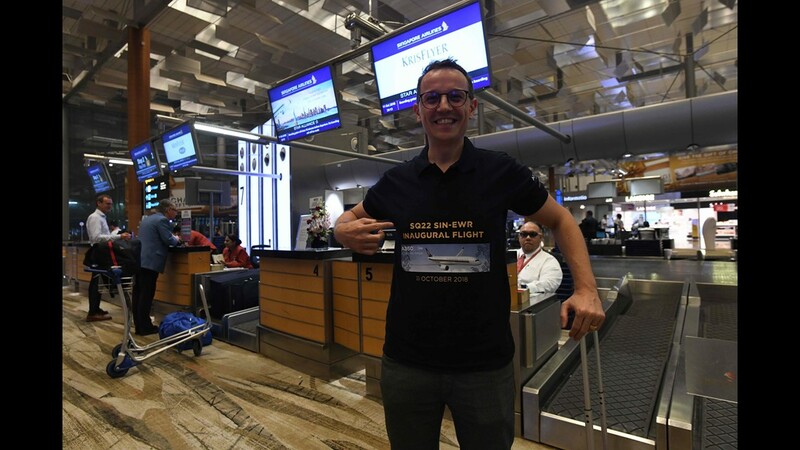 Pier Messaggio, Italian electronics designer and passenger of Flight SQ22, Singapore Airlines' inaugural non-stop flight to Newark, shows his souvenir shirt after checking in at Singapore's Changi International Airport on Oct. 11, 2018. 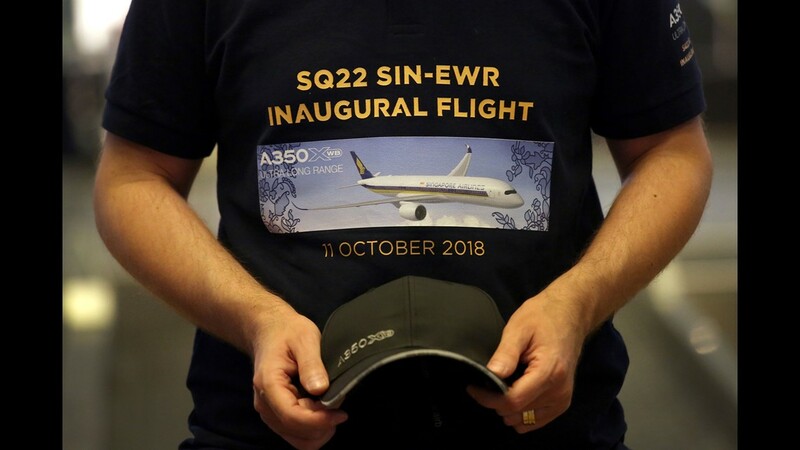 Passengers of Singapore Airlines Flight 22 from Singapore to Newark wear a commemorative T-shirts at Singapore's Changi Airport on Oct. 11, 2018. 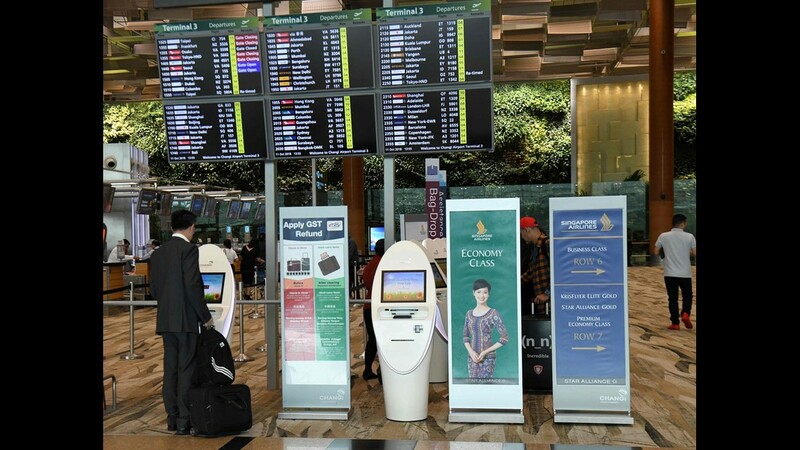 Signboards shows directions for Singapore Airlines check-in at Changi International Airport in Singapore as the airline launched the inaugural non-stop flight to Newark on Oct. 11, 2018. 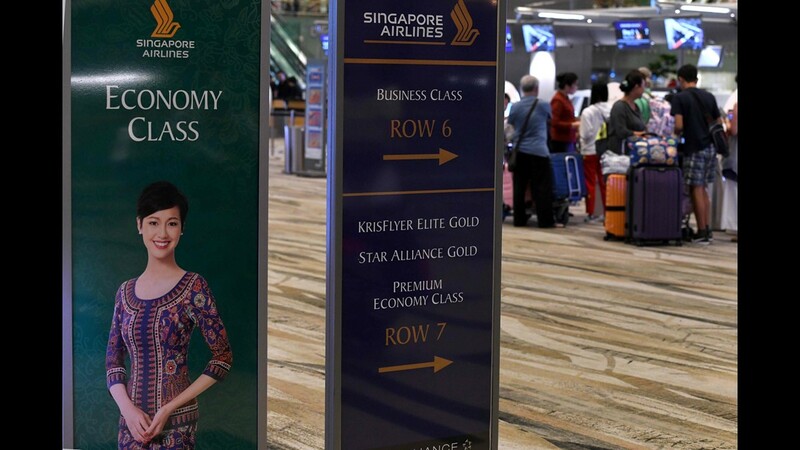 A Singapore Airlines passenger checks in Changi International Airport in Singapore on Oct. 11, 2018. 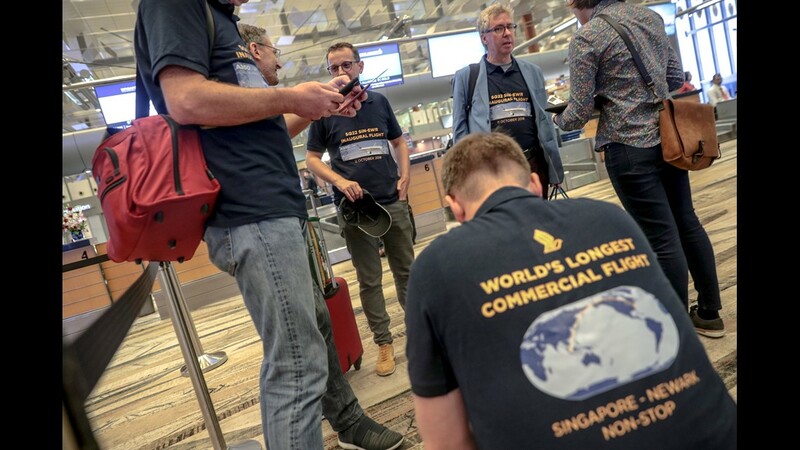 A group of men are seen wearing commemorative T-shirts for the flight of Singapore Airlines flight SQ22 at the check-in counter of the Changi Airport in Singapore on Oct. 11, 2018. 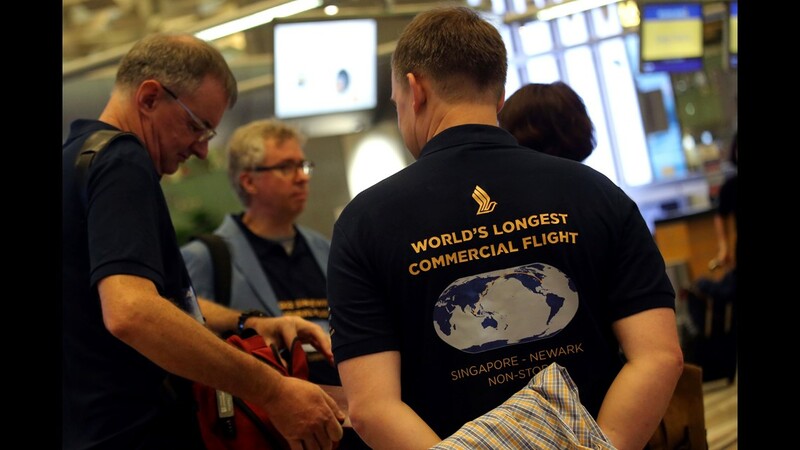 Passengers of Singapore Airlines Flight 22, the inaugural nonstop flight to Newark, wears a souvenir shirt during their check in at Singapore's Changi International Airport on Oct. 11, 2018. 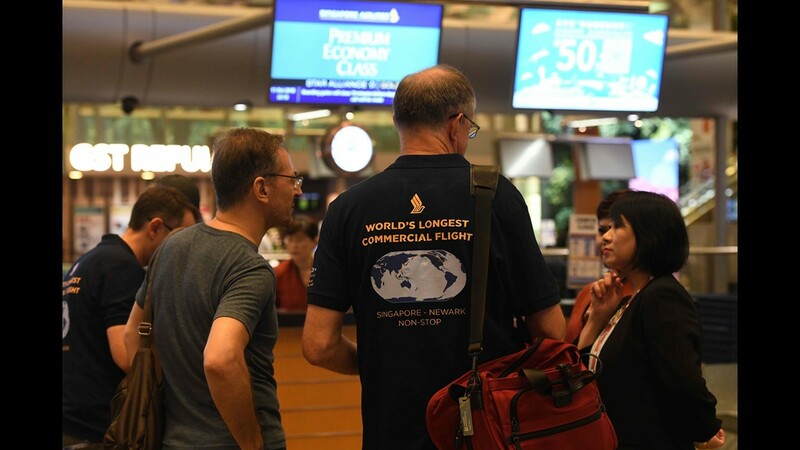 Passengers of Singapore Airlines Flight 22 from Singapore to Newark talk to airline staff at Singapore's Changi Airport on Oct. 11, 2018. 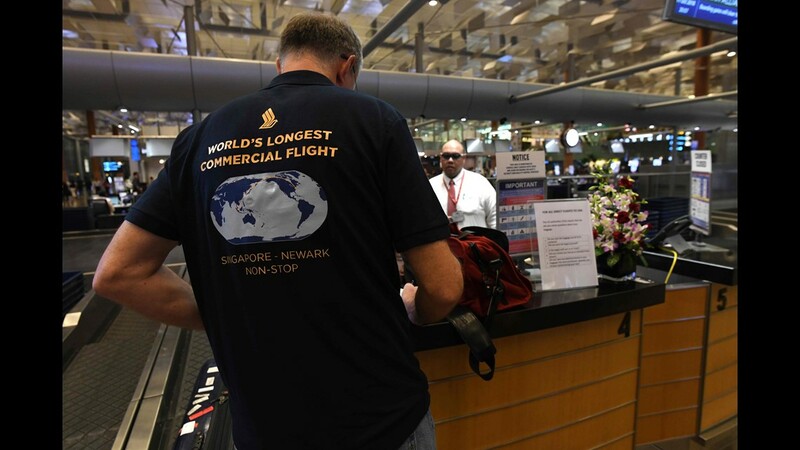 A passenger on Singapore Airlines Flight 22 from Singapore to Newark wears a commemorative T-shirt at Singapore's Changi Airport on Oct. 11, 2018. 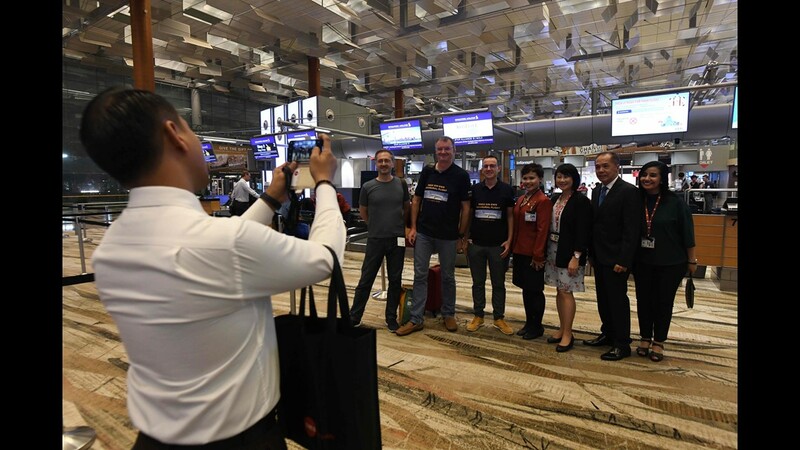 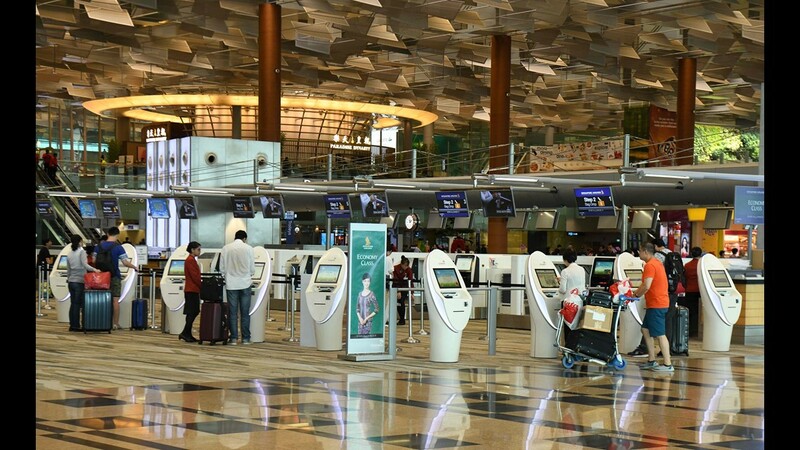 Passengers of flight SQ22, Singapore Airlines' inaugural non-stop flight to Newark check-in at Changi International Airport in Singapore on Oct. 11, 2018. 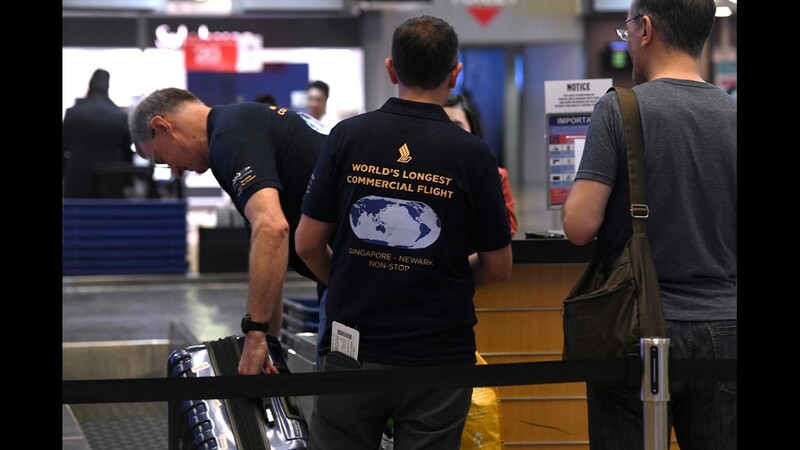 Passengers wearing self-designed T-shirts which celebrate their trip on Singapore Airlines' inaugural non-stop flight to Newark, wait at the check-in counter on Thursday, Oct. 11, 2018, in Singapore. 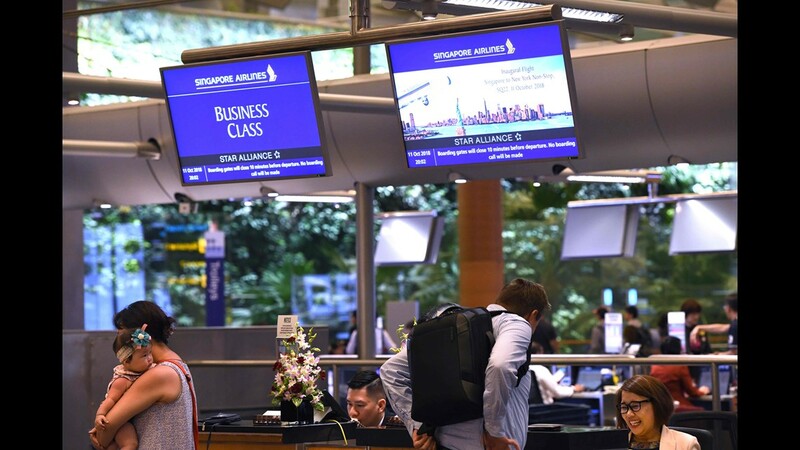 Singapore Airlines passengers check in at Changi International Airport in Singapore on Oct. 11, 2018. 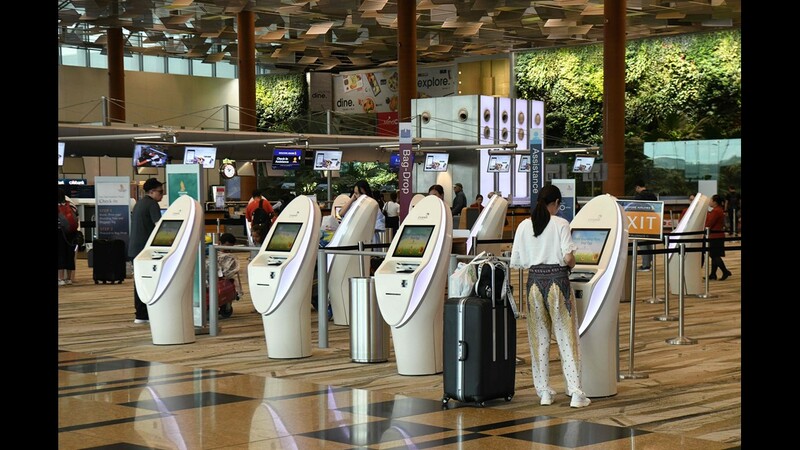 A Singapore Airlines passenger checks in at the automated booth at Changi International Airport in Singapore on Oct. 11, 2018.